Frances, B 1925, Married Fox. Pictures: Picture #1, Picture #2 Thanks to Wanda and Diana. For more information on the Nall family, visit the awesome Nall Family Website. There is a generation between JG Nall #1 and #2. 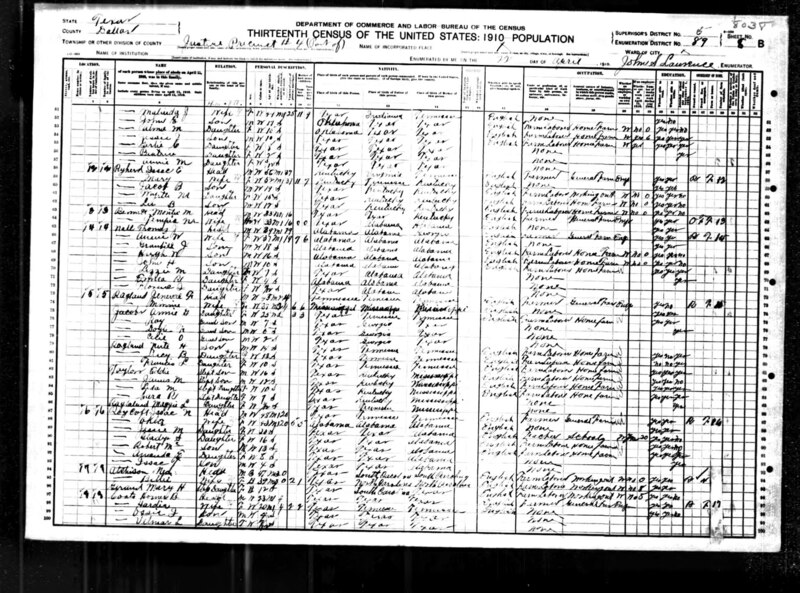 James Granville Nall (#1) is father of Thomas Jefferson Nall. 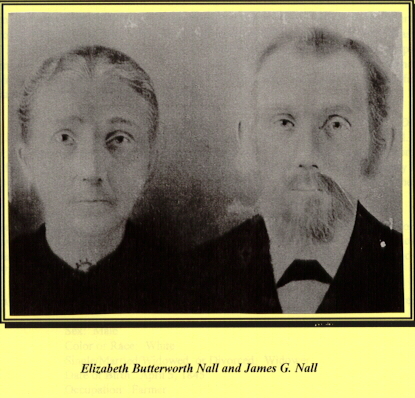 Thomas Jefferson Nall is father of James Granville Nall Sr (#2). 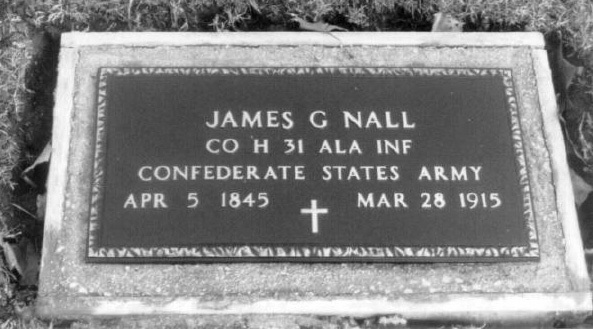 James Granville Nall Sr (#2) is father of James Granville Nall Jr (#3). What is the marriage date to JG Nall? Is there a marriage certificate? When was Mary married to Bamburg and who was he? Are there any pictures of Mary Lee and JG together? 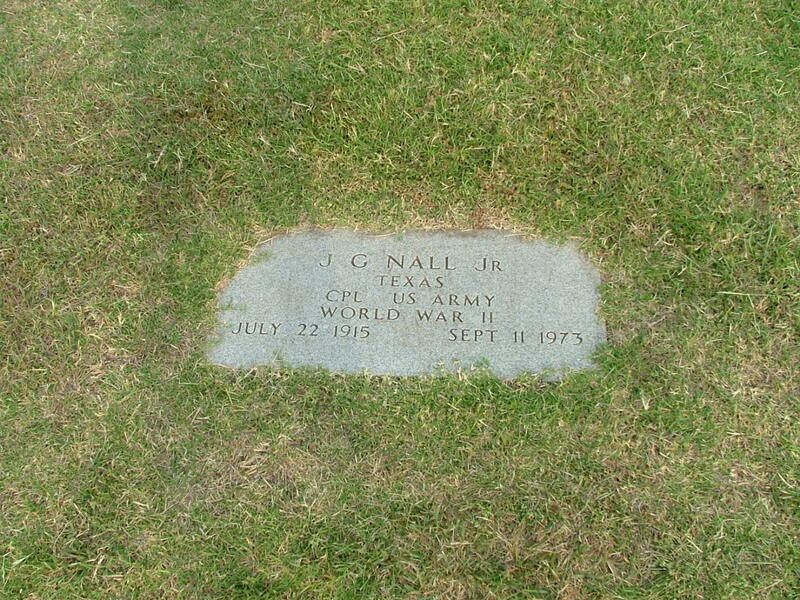 Where is JG Nall Sr buried? 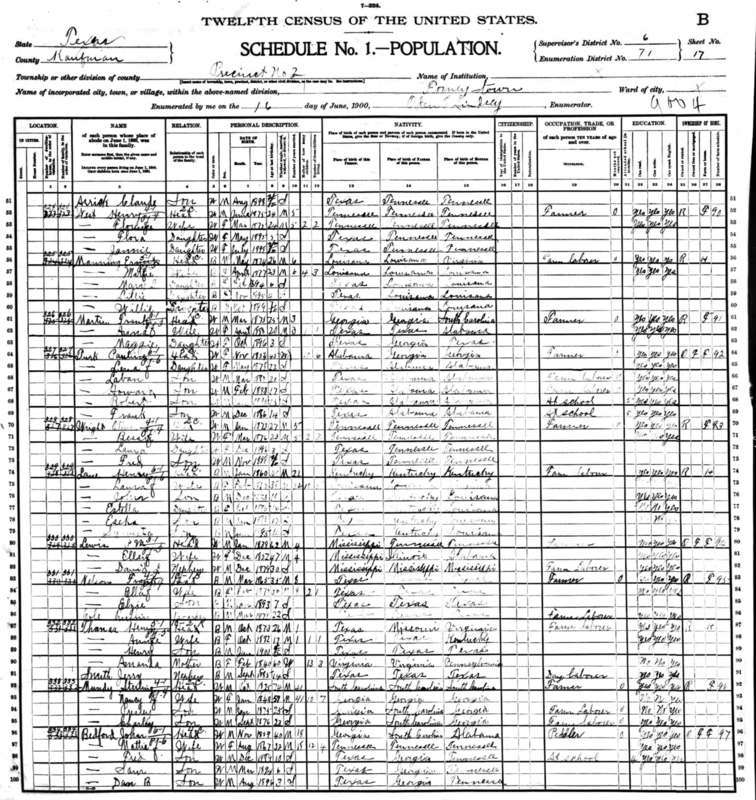 Florence Ada Nall's birth certificate says that Mary and JG have 6 living kids (including Florence). We only know of 4. 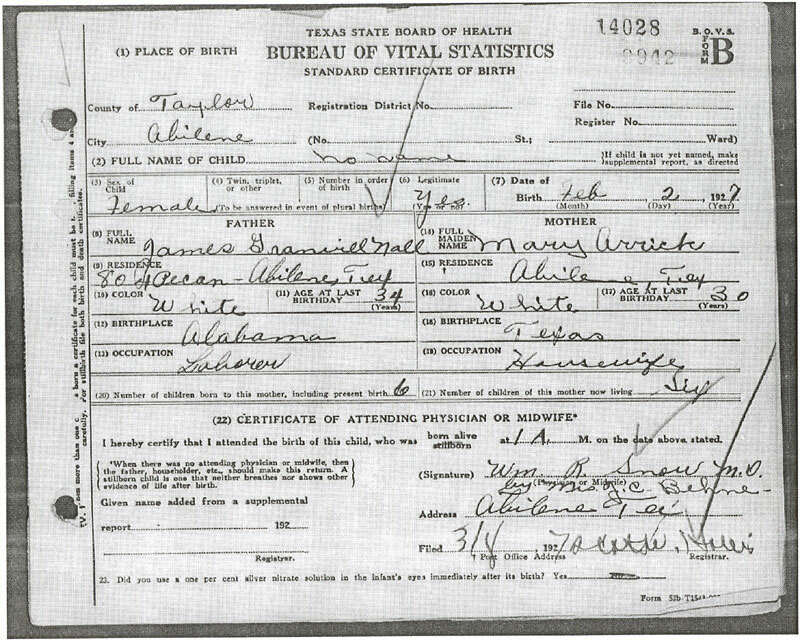 Birth: Jan 13, 1893 in Crandall, Kaufman Co, TX. 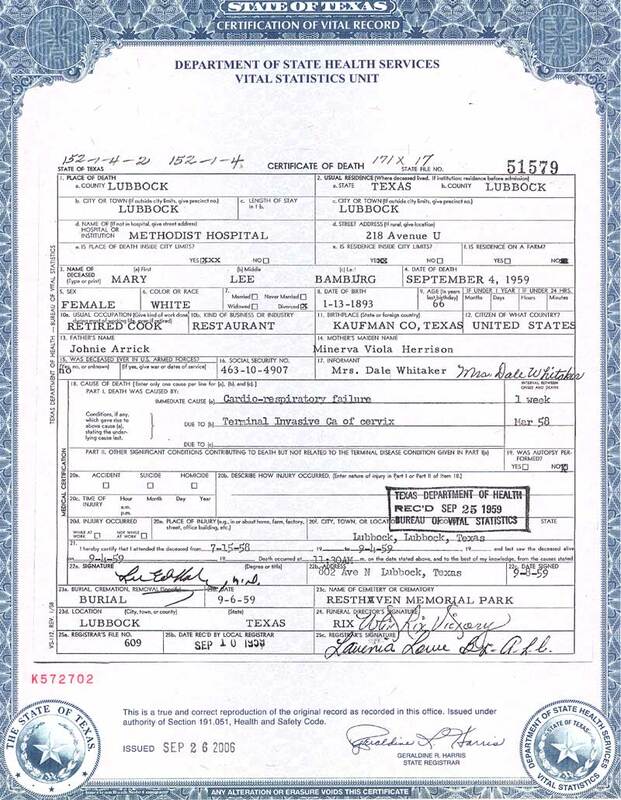 Mary Lee is shown to have a second middle name of Arela - Mary Lee Arela Arrick on this Birth Certificate that was created May 31, 1958 in order to apply for social security benefits. Arela appears to be an error. The certificate is signed by Sallie Breshers as Aunt. 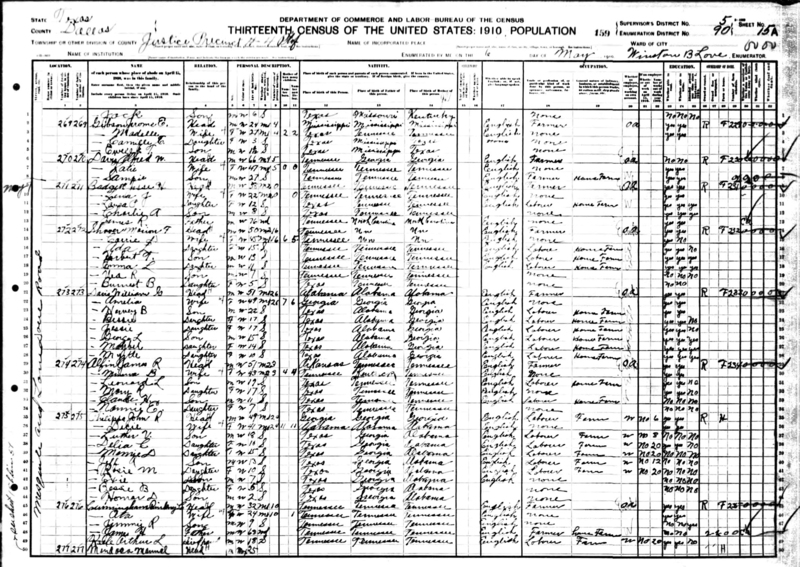 Census page at bottom, Census page at top showing Claude. They are mistakenly written and transcribed as Alfin. Mary R, Daughter, 17, b in TX - Mary Lee? 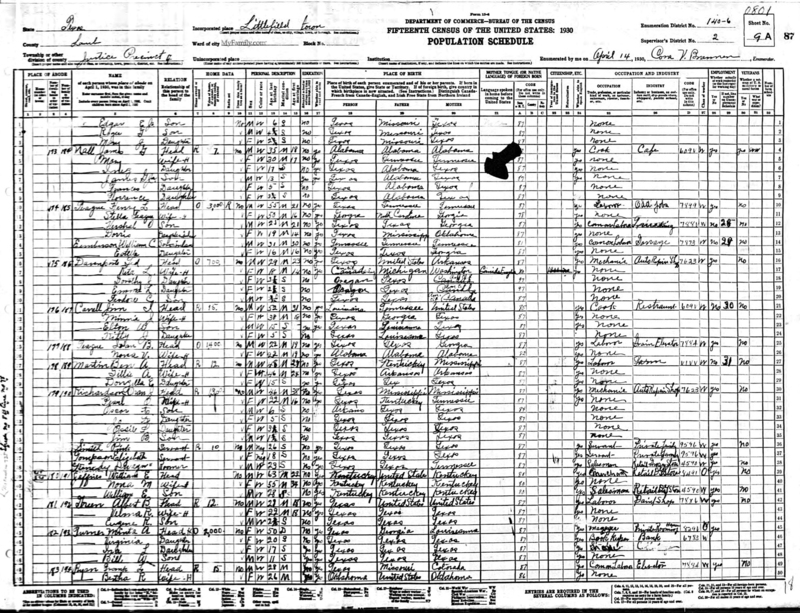 Nannie E, Daughter, 7, b in TX - Ethel Pauline? This marriage occured approximately 1911. 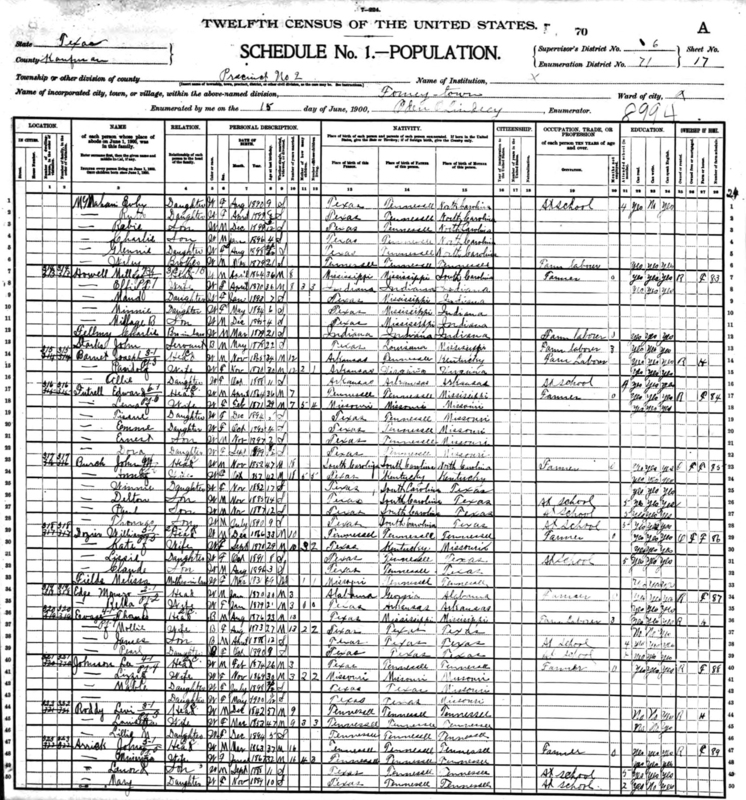 This is James Granville Nall's family in the 1910 census in Dallas. 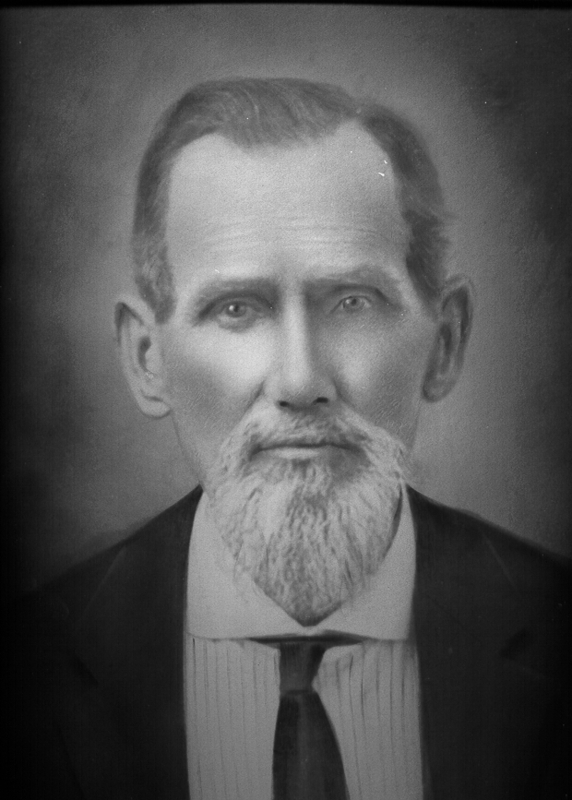 Thomas' father is James G "Tip" Nall, born 5 Apr 1845 GA.
Thomas' mother Elizabeth A Butterworth, born 11 Feb 1846 in GA.
Nall, James G, 35, 18 at first marriage, cook at cafe. All kids born in TX. Mary Lee died in Lubbock TX Sept 4, 1959 at the Methodist Hospital. She had battled cancer since March of 1958 and ultimately died of heart and respiratory failure. In 1958 she requested social security benefits and had the birth certificate created. At the time of her death, Mary was using the last name Bamburg. She is shown as Divorced. Retired as a cook in a restaurant. 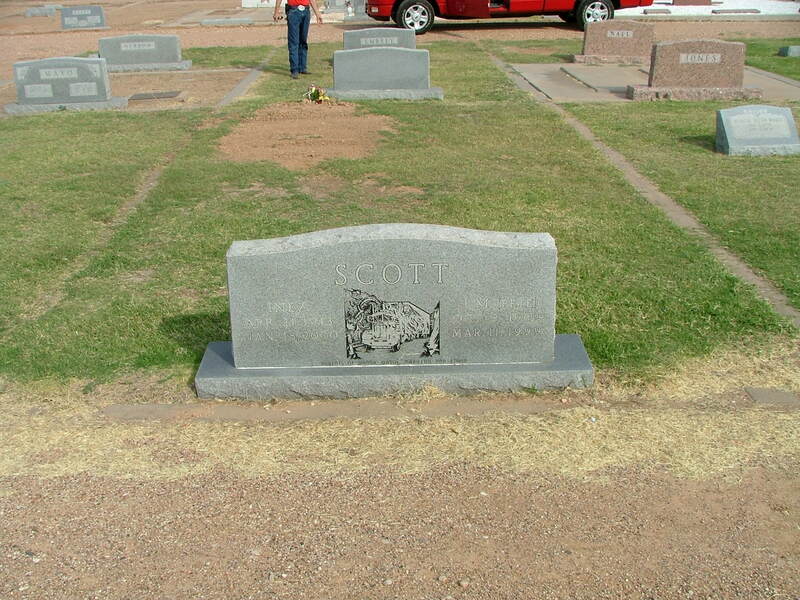 Mary is buried at Resthaven Memorial Park in Lubbock, but is not shown in the unfinished index. Joe Hart graciously took a picture of her grave for us. 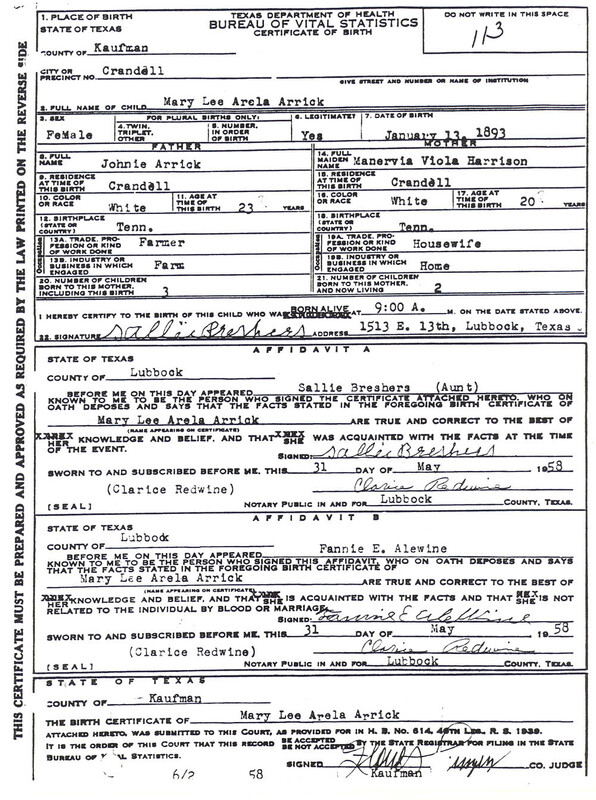 The information for the death certificate is comes from Mrs. Dale Whitaker (Wanda), Inez's daughter. Inez, Mary Lee's daughter, married James Melvin (Pete) Scott. Wanda Evelyn Scott, B 24 Aug 1931, married Dale Melvin Whitaker, 7 children. 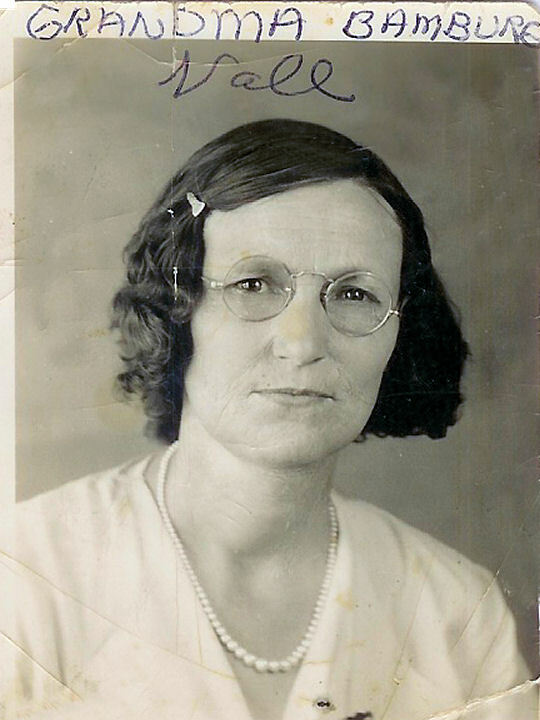 Florence Ada, Mary Lee's daughter, married Brown, died 8 Mar 1999 in Lynn TX. Inez and J.G. Nall Jr. In one of the obits, copied below, of Mary Lee Bamberg one of her daughters is Mrs. Leslie Fox. That could only be Frances who turned out to be Frances Gertrude Nall. 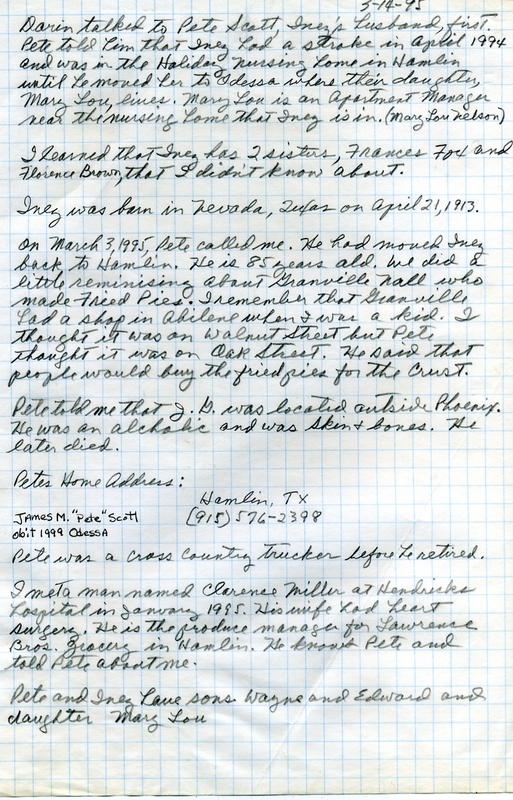 I followed the leads and found her birth record, SSDI, and her son in the Texas Birth Records. This gave me her husband's full name. 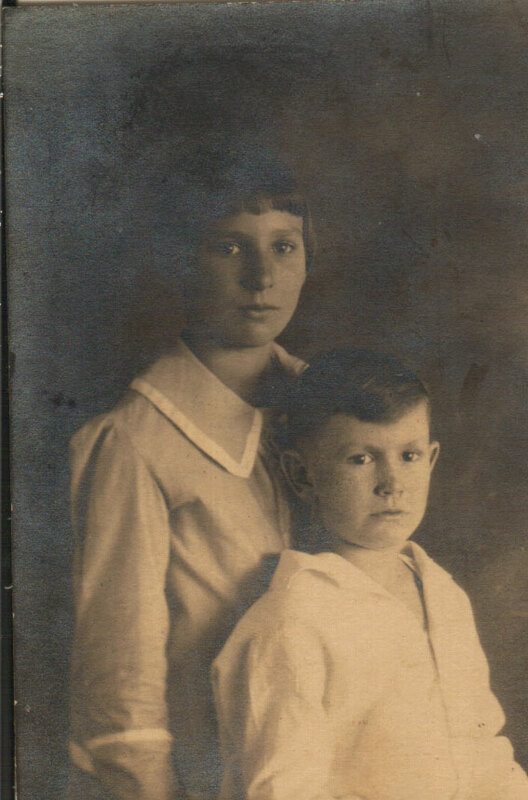 With help from the US Public Records Index I located her son in the same place Frances died. 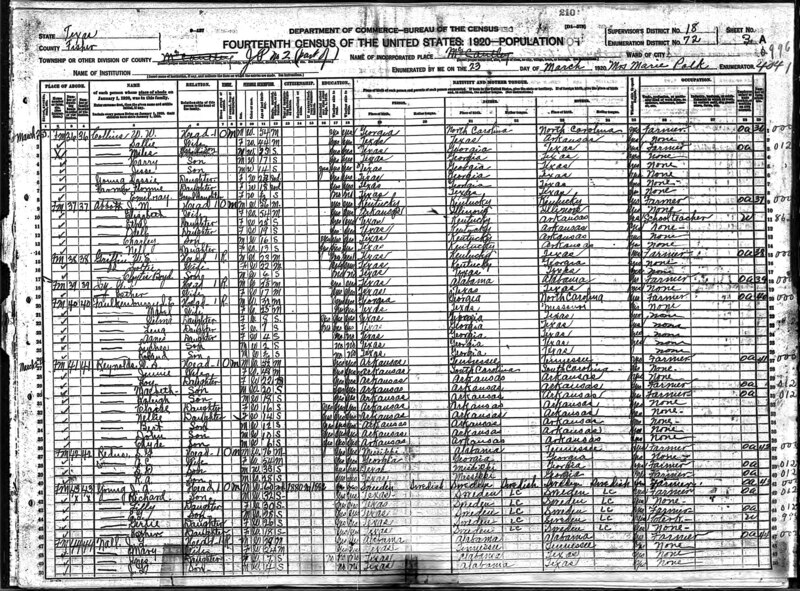 His birth record was for Jamy Leslie Fox, but he now went by James L.
Below is a descendancy chart for Frances Gertrude (Nall) Fox spouse of Leslie Boyd Fox. but it seems to fit. I believe this is what happened to Frances. Texas in her father's household at age five. Her Social Security Number was issued before 1951 in Texas. son's birth probably in Texas. 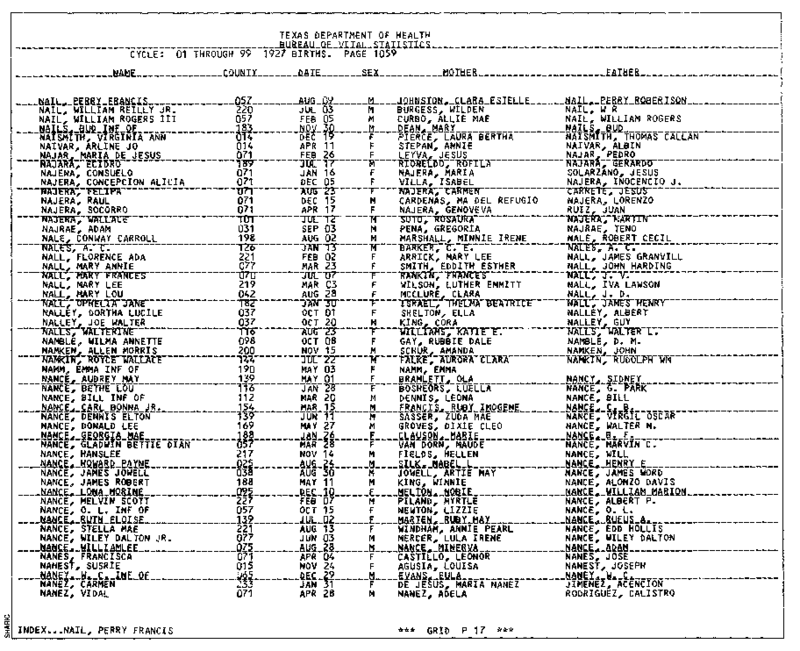 State (Year) SSN issued: Texas (Before 1951)). A. Jamy Leslie Fox, also known as James L.
He married Connie B (--?--): probably circa 1978. Tulsa County, Oklahoma, 74135, Ph 918-664-7894. Mrs. Bamberg Dies Here Today. Mrs. Mary L. Bamberg, 67, of 218 N. Ave U, died about 11:15 am today in Methodist Hospital. Funeral arrangements were pending with Rix Funeral Home. Mrs. Bamberg's Services Slated. Funeral services will be conducted at 4 pm Sunday, in Rix Funeral Home Chapel for Mrs. Mary Lee Bamberg, about 67, of 218 Ave U, who died about 11:15 am Friday in Methodist Hospital. Burial will be in Resthaven Memorial Park. 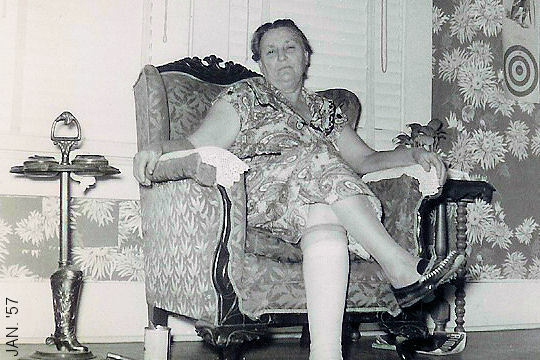 Mrs. Bamberg had been a Lubbock Resident since 1935, moving here from Littlefield. Survivors include a son, J. G. Nall; three daughters, Mrs. F. R. Brown, 218 Ave U, Mrs. Leslie Fox, 710 Ursuline St., Mrs Melvin Scott of Anton; a brother, Claude Arrick, Big Spring; a sister, Mrs.Ethel Smith, Baton Rouge, LA; five grandchildren and eight great-grandchildren. Mrs. Mary Bamberg Rites Slated Today. Funeral Services will be conducted at 4 pm today in Rix Chapel for Mrs. Mary Lee Bamberg, about 67, of 218 Ave U, who died Friday morning. Mrs Bamberg had lived in Lubbock since 1935, moving here from Littlefield. Burial will be in Resthaven Memorial Park. Many thanks to Joe H for these. 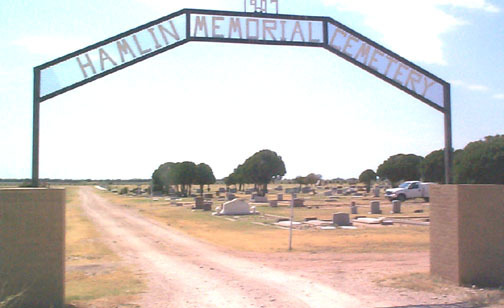 Hamlin TX is in Fisher County, Northwest of Abilene. From Anson, Texas at the intersection of US Highway 83-277 and 180. Go north 2.0 where US Highways 83-277 forks. Take US Highway 83 to the left (Northwest) for 16.0 miles to Hamlin, Texas. At the intersection of US Highway 83 and State Highway 92 turn right (East) and go 2.4 miles to the intersection with CR 111. Turn left (North) on CR 111 and go 100 yards to the cemetery on the left (West) side of the road. Hamlin, TX. 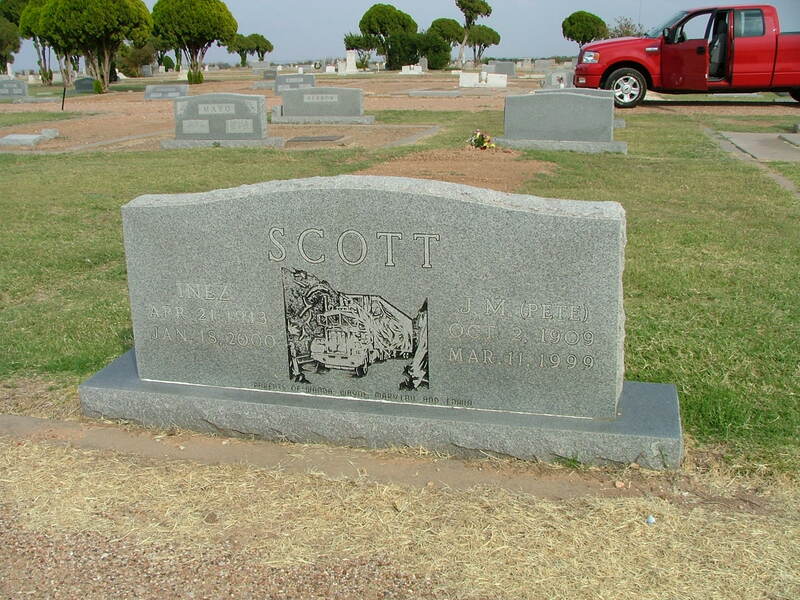 Mattie Inez Scott, 86, of Odessa, a homemaker, died Jan. 18, 2000, at Medical Center Hospital. Services were held Thursday at Central Baptist Church with the Revs. James Brigham and Travis Crutchfield officiating. Burial was in Hamlin Memorial Cemetery. Arrangements were by Foster-Adams Funeral Home. She was born in Taylor County and moved to Odessa in 1999 from Hamlin. She was Baptist. Survivors: Daughters, Wanda Whitaker and Mary Lou Nelson, both of Odessa; sons, Wayne Scott and Edwin Scott, both of Hamlin; nine grandchildren; 21 great-grandchildren; and eight great-great-grandchildren. Hamlin, TX. Mary Lou Nelson, a retired apartment manager, 70, of Odessa, died Sunday, Aug. 6, 2006, in Odessa. Services will be at 2 p.m. today at Adams Funeral Home Chapel with the Rev. James Brigham officiating. Burial will be in at Hamlin Memorial Cemetery. Arrangements are by Adams Funeral Home of Hamlin. She was born in Hamlin and was Baptist. 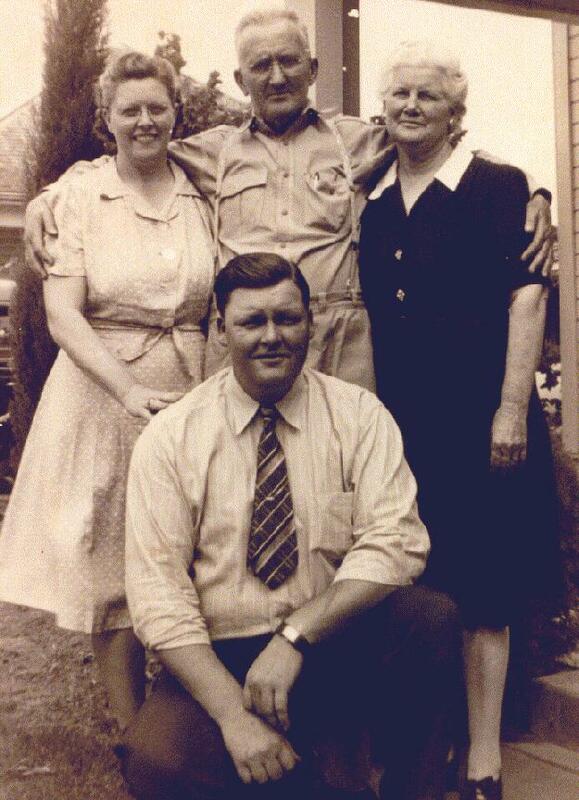 Survivors: Brothers, Wayne Scott of Lake Brownwood and Edwin Scott of Hamlin; and sister, Wanda Whitaker of Odessa. In 1995, Darin Arrick talked with James Melvin (Pete) Scott, and my father, Leonard William Arrick wrote this Letter about it.